Maybe I shouldn't have been surprised, but I found myself pleasantly surprised that this wine is quite nice. It's fragrant and shows some other interesting characteristics that keep it real and not overly manufactured. The price is around $15, and it should pair well with lighter dishes and poultry. 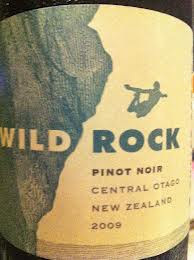 I recommend you grab this as a nice value-priced Pinot Noir if you happen to see it. Raise a glass! This wine is drinking beautifully right now. It's expressive and full of flavor, accented by smoky notes throughout. Merlot dominates the blend with Cabernet Franc and Cabernet Sauvignon, much like many other classified St. Emilion wines from the Bordeaux region of France. Good friends shared this wine with us over a wonderful dinner of lamb. Retail prices for the 2001, where available, seem to be around $140. Raise a glass! Purple garnet hue with aromas of black berry mulberry, with notes of cedar and chocolate. 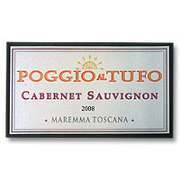 Palate--Rich textured foundation of big fruit bomb berries with plenty of milk chocolate. Tannins are young and mouth drying but should mature and mellow. Finish is considerable with dark fruit and light spice with charred oak hint. This Columbia Valley blend is a compilation of Mourvedre, Merlot, Tempranillo, Petit Verdot, Petite Sirah, Grenache, Syrah and Barbera. 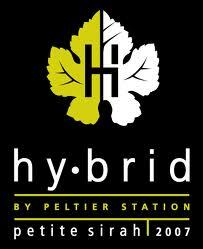 Normally I tend not to care for "hyper blended" wines of this many grapes as it tastes like what it is; a hodgepodge. 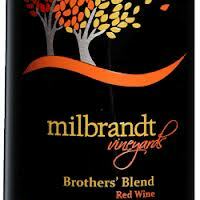 But in this case I am inclined to believe the Milbrandt brothers have made it work as a drinkable red wine with decent flavor heft and structure. 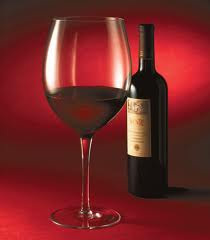 It is too young to enjoy fully but its never-the-less a tasty full flavored red wine. It lacks integration but a couple years should help that. I will pair it tonight with an Italian dish of some sort. I paid $13 for it and it's a big wine but needs a couple more years. Buy one and lay it down; it might just reward the wait! Powerful strawberry aromas that are nearly floral contained in a lovely purple hue. Minerally front with strawberry fruit, deliciously fresh and fruity. A day later there is a huge blast of white pepper through the fruit! Beaujolias Villages is a step up from the label that simply reads "Beaujolais" nouveau and it costs a couple dollars more. I grabbed it for $12. It is classic Nouveau and both the Beaujolais and Beaujolais Villages are wonderful examples of the fruity Gamay grape made in this ready to drink informal style. This is the year for Noueveau so raise a glass! 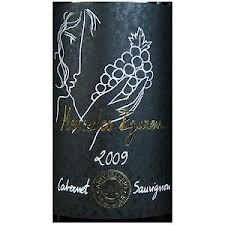 Lighter garnet hue with ample aromas of gentle cedar, slight licorice, sweet vanilla and cherry fruit. Palate--Lovely integrated flavors of cherry, white bread, green herbs and a beam of caramel or maple that is subtle but delightful. This is a really nice wine for the price ($15)and well constructed with a ready to drink presence. Raise a glass to this delicious grape! We are pleased to offer you our 2,500th wine review below! It's a bit of a milestone as we've averaged nearly one review posted per day for over 7 years. We hope you've enjoyed the reading and have made good use of our straightforward postings. Many of our recommended wines earning our "Raise a glass!" endorsement are value priced as well. Sometimes we enjoy collectible and high priced wines, but we often concentrate on every day wines which most people want to know about. Thanks for visiting our site and please let us know if you have any feedback. Raise a glass! Pale gold with aromas of bright melon, hints of peach, and dynamic notes of citrus. Palate--Sweeter than usual style perhaps but perfectly integrated and balanced out by a beam of juicy acidity. Tasty fruity, tastes like a good Riesling. How can you not love Gewurztraminer the grape with the hard to pronounce name? Say-- "Ga VURTS tra MEEN er" and raise a glass of this under $8 varietal. Great as an aperitif or with oriental or spicy and hard to pair Mediterranean food. Nicely pigmented black cherry hue with solid tantalizing aromas of sweet dill, with bold black cherry/berry underneath. Palate--Fruity cherryish front with sweet berry foundation and lip smacking tannins. 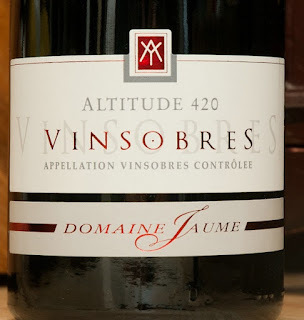 This Rhone blend of Granache 60% and Syrah 40% works well together. At nearly 6 years old this wine has a lot of life left in it and should improve as it integrates with a bit more time. At $15 this was a solid value so raise a glass and even buy a couple more! Palate--Chewy tannins with some darker berry flavor and a couple other things trying to fight their way out of a youthful foundation. The youthful foundation is winning. Smokey finish that is fleeting. This wine is too young to enjoy but shows some potential. This is a 70% blend of Merlot with 20% Cabernet Franc and 10% Cabernet Sauvignon from the Cotes de Castillon. There are some solid value wines coming out of this Bordeaux region. I paid $15 marked down from $20 but it just isn't ready. The Wine Spectator gave this wine 90 points with a vastly different review than this one which does not occur very often. If you find it for $15 or less I might grab a couple and lay them down. they may reward you in a couple 3-5 years. Raise a glass of something more mature and have a great Thanksgiving day! Remember from Whom all blessings flow! Citrus and powdery melon with creme brulee notes. 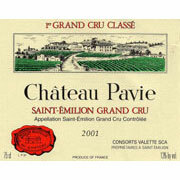 Palate--Robust acidic foundation with nice full flavors of fruit in an off dry style. This is a crisp, easy drinking wine of solid structure. This is a tasty, crisp California Pinot Grigio for which I paid $5 a real steel so raise a glass! Pours quite dark for a Cab at this price point. Bouquet--Some nice plum and cigar box aromas trying to fight through the slightly corked musty smell of wet cardboard. Even with that there are notes of dill and cedar. Palate--Slightly sour and somewhat austere fruit but what's there is good. There is even some interesting spice notes as well. Most people would not recognize this as being flawed and even with my hypersensitive nose and palate to cork taint, it is marginal but definite. I grabbed this since it was a 100% Cabernet varietal from Spain which I don't know if I have ever had one before. I paid $9 for it and if this wasn't corked it would probably show as a really decent wine. If I lived near the store I would grab another to give it a 2nd chance and wouldn't hesitate to return it if it was. As I have written before, I almost never have a problem with a store receiving back a bad wine. So this is worth another go! Raise a glass. A Thanksgiving Day meal with friends and family provides a perfect opportunity to enjoy nice wine. Because so much fuss is made over food and wine pairings in general, I find people get a little stressed out about what to serve guest on this special day. Fortunately, many wines have a much broader range than they get credit for. With that in mind, I have some basic suggestions that might help. If you are planning a very traditional Thanksgiving meal, complete with Turkey and all the assorted sides, a number of red wines can work well like Cabernet Sauvignon, Pinot Noir, Zinfandel, and Merlot. All of these varietals have a pretty broad range, except maybe the Zinfandel. However, I put Zinfandel on the list because it works well with cranberry sauce and heavy starches like mashed potatoes and sweet potatoes. In order to make things even more festive at the table, I suggest you offer guests two wines. This is especially easy if you are able to provide you guests with two wine glasses and allow them to pour and sip as they like. Simply place the bottles on the table and allow your guests to discover the different pairings as they please. As a rule of thumb, plan for at least a half bottle per person while at the table. Which two wines? Try offering one Cabernet Sauvignon and one Pinot Noir, perhaps both from American wineries in the spirit of the holiday. While wines at the dinner table are often the focal point, don't forget that you can create a special experience with wines before and after the meal. A nice bubbly is a great way to start the festivities, especially with assorted appetizers or finger food. To finish things off, try a nice dessert wine. Something sweet but light, for example a muscat or icewine, should help wash down the pie. Do this before the coffee. Raise a glass to a Thanksgiving table complete with wine! Year after year, this is a big, flavorful wine. 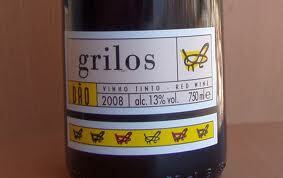 From the Toro region of Spain, it's made from Tempranillo (locally known as Tinto Toro). The 2008 edition is powerful and nicely layered as well as being a bit more tannic than some prior years. Enjoy now after decanting or allow it to cellar for a few years. At $26, it's a good buy. Raise a glass! 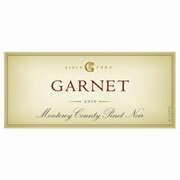 Garnet hue with aromas of bright red fruit, and a sweet floral aroma that is down right enticing. Palate--An amazing rose petal, fruity flavor on a lively foundation of striking acid that finished abruptly with a faint touch of rose. This Portuguese (Dao) wine is a blend of three grapes, has brimming flavor and will pair well with cheeses or food with some heft. This is a surprise at the price of $7 so raise a glass! 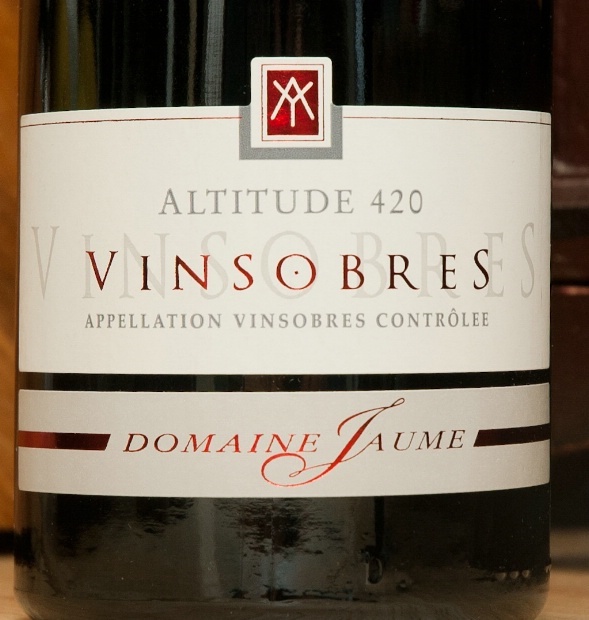 Palate--classic Nouveau from the Gamay grape with lovely simple strawberry flavor that is nothing short of delightful. This is a good year for Nouveau so grab it a enjoy it NOW as this wine is meant to drink within the next few months. Expect to pay around $10 and raise a glass! Palate--Big rich berry fruit bomb with some touches of milk chocolate, a relaxed presence and slightly textured. Tannins are gentle if not nearly plush with a little spine still left in them. Finishes well enough. Here's the get a grip factor-- I paid $7 for this wine which is 80% Petite Syrah from Lodi made by Peltier Station using sustainable growing techniques. 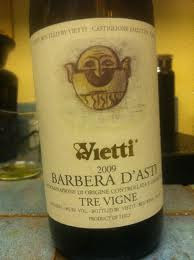 I wouldn't mind another couple bottles of this to serve to friends who like fruit forward, bold, in your face red wine. This fits the bill so raise a glass. Audience: The audience for this book is anyone who is in love with wine and anyone who loves history or trivia. The history of wine is nearly as old as bi-pedal humans. This book brings that history to life with brevity and wit. Structure: The book is a collection of short but immensely interesting snippets of wine lore. While the snippets are collected together by category, each one is rarely longer than this blog post. That means you can flip to any page in the book, spend two minutes reading an amusing anecdote and walk away richer for the experience. 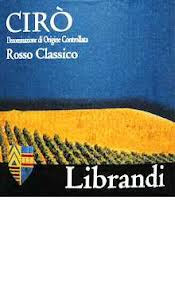 But the collections have also been lovingly pieced together to weave a broader historical narrative that weaves the threads of wine and wine making throughout our human history. Core: The core of the book is a firm appreciation of the historicity of history. Names and dates abound. But this is no dry school text book. Instead these provide the backdrop for a tableau that honors wine, wine makers, wine testers and wine innovators. 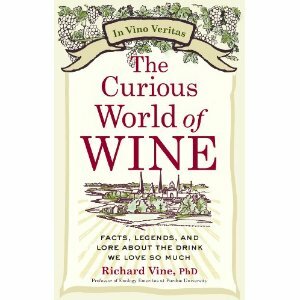 Overall: This book would make a great, easily digestible gift for the wine enthusiast in your life. It is not cumbersome. It carries no snooty-snoot airs like some other wine tomes do. Instead it is enjoyable, educational and easy! This is wine edu-tainment at its best. Audience: anyone who regularly or occasionally enjoys wine and is interested in dipping a toe into the waters of wine appreciation. The One Minute Wine Master is easily approachable and non-threatening. Structure: The book opens with some entertaining and surprisingly accurate wine-drinker profiles. Michelle, the "overwhelmed" wine drinker and Bob the "traditionalist" are just two of six personas that are described. These are a very entertaining way of starting out the book. They are funny, they are embarrassingly true, they are accurate. The importance of understanding what kind of a profile best fits you, owning that profile and then celebrating it is an important addition to wine literature. We're often told that it is OK to like what you like. But we're rarely taught how to understand and identify what we like as well as the opportunities and pitfalls that come along with our wine-style. It is an enlightening take on a zen-like wine drinker, know-thyself.The book then moves on to some of the wine tasting basics; outlining a cleverly alliterate and expanded take on swirl sniff taste. Core: At the core of the book is the One Minute Wine Master Quiz. Readers take the quiz, score themselves and then read the lengthy interpretations, recommendations and wine profiles that they are most likely to enjoy. The quiz is easy to answer and easy to repeat. The results are broken down into flavor profiles named for the seasons of the year. Each season has a typical set of wines and varieties that members of that season will typically enjoy. The seasons are explained at length and contain examples of wines and brands that most consumers will be able to find locally without breaking the bank. Criticism: The book was wonderful for me until I took the quiz and read "my" results. Like anything that is oversimplified, exceptions abound. I fall right into that exception category. No matter how many times I took the quiz or changed my answers, the results simply weren't indicating the kinds of wine I most enjoy. The reason is that the quiz and resulting flavor profiles assume something about the reader that is not clearly established up front: namely that the reader has a typical western diet. If you avoid caffeine, are a vegetarian, vegan or limit your dairy intake the quiz probably won't work for you. Overall: Vegetarian diets notwithstanding, the book is a great gift idea for the wine drinker in your life who has a few favorites and would enjoy trying something different but not so different that it makes them cringe. 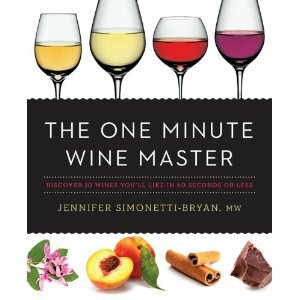 Pick up a copy of The One Minute Wine Master. Flip through it. Take the quiz as if you were the recipient and then pick up a bottle in their flavor season. It would make a thoughtful treat! This wine pours nearly as light as watermelon juice. Bouquet is subtle with sour pie cherry notes and an interesting touch of caraway seeds. Palate--Steely with simple slightly tart fruity front and a gentle presence on the tongue. Finishes quickly with scant fruit and steel! I actually like this wine a bunch! It is tasty, simple, juicy and easy to drink. It cost $6 and I grabbed it because I was totally in the dark about this region of Italy. The Ciro is DOC (a region within the region of Calabria) neither of which is known for wine of any reputation. Calabria is down in Southern Italy where the wines are aged for 2 years before release 6 months of which has to be in oak barrels. The Gaglioppo grape is the major grape used in the red Calabrese wines. For $6 this is a raise a glass kind of wine! Explore new regions and new grapes and be surprised at the values that are out there. Explosion of big fruit-bomb black berry, full bodied, rich, textured, still a little chewy, with smokey dark fruit finish that lingers a while. I paid $13 for this Paso Robles Syrah(reduced from $25 at the New Hampshire State Liquor Store) which for a single vineyard creation is unheard of. It doesn't have the complexity of a typical single vineyard wine but at $13 I wish I had bought 3 more bottles to lay down. This bad boy has a LOT of life in it and should improve for the next 5 years being presentable for the next 10 at least so raise a glass. This wine is a touch exotic with charcoal and spice notes over the fruit. It's made from Cabernet Sauvignon in the Maremma region of Tuscany and is a nice alternative to similar priced Cabs from California and other "new world" regions. Retail prices hover around $18. Raise a glass! Pale golden hue with big aromas of grassy, grapefruit and an undertone of ripe melon. Palate--A structure with a lethargic presence, subdued and slightly off grapefruit flavor with a flaccid spine that makes this less than appealing. This only cost $8 and in this case it is what you paid for. Pass on this and grab any number of other varietals at this price point. New Zealand, Chile, S. Africa and domestic S. Blancs are available and tasty. Raise a glass of something else. Bright cherry hue of the lighter persuasion with good strawberry aromas with some light spice. Palate--Surprisingly chewy presence with a citrusy grape fruity note that is astounding. Not your crazy fruit forward variety of Pinot you get from Oregon and California. This Central Otago (New Zealand)is a wine unto itself. The citrusy beam dissipates as it breathes; I like this style of Pinot Noir and at $9 it was a nice treat but it sells for around $19 normally. I paired it with a seafood soup and it was a nice accompaniment so raise a glass! Showing amazing balance between sweet fruit and lively acidity, this wine is delicious and versatile. At only 7.5% alcohol, it dances in the glass and across the palate. Good Riesling really is unique in its ability to show these characteristics so remarkably intertwined. Don't snub the German aisle in your wine store or you'll be missing out. Many recent vintages of German Riesling have been excellent, and prices are reasonable. This wine costs about $15. Raise a glass! This wine is a little bit flat and unispiring. The problem here is that Rosso di Montalcino is always a bridesmaid and never a bride. 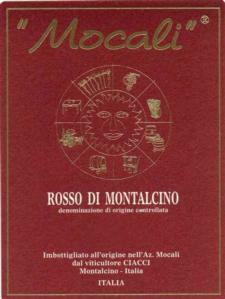 By design and definition, it's wine that plays second fiddle to Brunello di Montalcino because it's made from grapes that weren't chosen for Brunello. I've always had some trouble with this, especially since Brunello has been so consistenly good and worth the extra investment. I realize that this wine is much less expensive than most Brunellos, at $20 or so, but I'd rather drink the real thing. When I can't do that and need to be in the $20 range on a Tuscan wine I reach for Chianti Classico or a number of IGT blends. Read our nearly 2500 posts for many recommendations in this price category. Garnet hue with bouquet of woody cherry fruit with a rustic edge to it all. Palate-- awkward front that borders on a flaw, a touch of bread, very restrained fruit, the same awkward mid-palate and finish. I'll let this breathe but this is off to a disappointing start! 2 hours later, the bouquet is really quite nice with all the elements above with a bit more finesse, more importantly, the awkwardness of the palate is barely noticeable now. This wine cost $11 marked down from $22. At $11 it's enjoyable but if I had paid $22 for this, I would have not been happy. Raise a glass. Straw hue with bouquet of pears, banana, and green apple fragrances that is wonderful. Palate--Spritzy mouth with fruity, off dry, Fuji apple fruit. Finishes with big lingering pear and green apple. This is a seriously tasty blend of the two grapes even as Pine Ridge emerges as a real contender in the vast world of wine. The lovely acidity and flavors in balance makes this a great aperitif or a good food wine. I will be pairing this with pork cutlets and sauerkraut. At $9 raise a glass of this tasty. juicy fragrant wine!